Molecular Devices Flexstation Multi-Mode Microplate Reader Lamp Error . New Life Scientific, Inc. This instrument is in good cosmetic condtiion, but there are obvious signs of age on wear visible on the body. This product is not guaranteed functional and will be sold for parts / in need of repairs. New Life Scientific technicians have evaluated this instrument for signs of damage and functionality. They were able to power the instrument on, but a lamp error signals, after the plate carriers have initialized, and the technicians were unable to resolve this error. 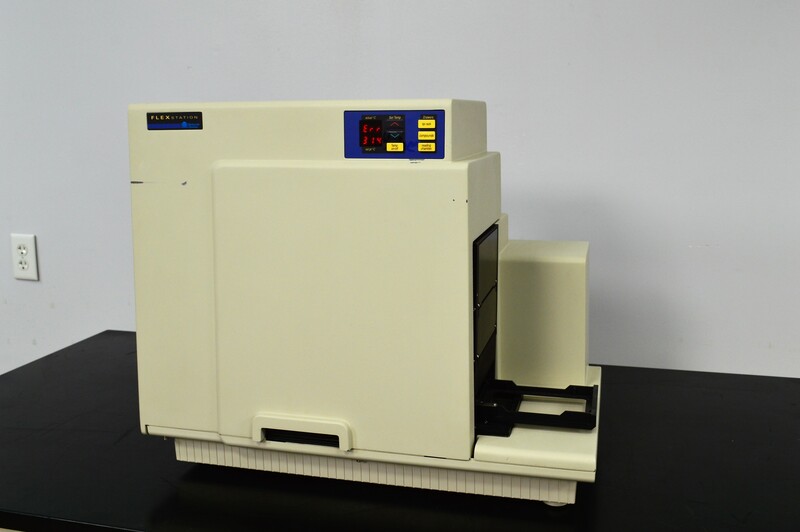 The microplate reader will be sold as-is for parts/ in need of repairs. This may be a simple fix by replacing consumables or contain underlying dysfunction. There is no warranty expressed or implied for this non-working instrument. Please consider that you forfeit your right to return an item that was purchased as a 'parts / in need of repair' item.